The way physicians deliver care has evolved to accommodate change. For example, the health care payment system is shifting from one that is volume-based to one that is value-based. The federal agencies responsible for health care are pushing for better care at the right time and at the right cost. For example, the U.S. Department of Health and Human Services has awarded $685 million in grants to 39 national and regional health care networks and supporting organizations to help equip clinicians with the tools and support needed to improve quality of care, increase patients' access to information, and reduce costs. 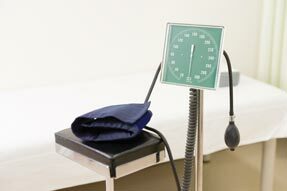 The Transforming Clinical Practice Initiative (TCPI), which was supported by the U.S. Department of Health and Human Services and the Centers for Medicare & Medicaid Services (CMS), is 1 of the largest federal investments designed to help doctors and other clinicians across the country transform their practices through collaborative, peer-based learning networks. ACP is partnering with the National Partnership for Women & Families, the Institute for Patient- and Family-Centered Care, Stanford University's Clinical Excellence Research Center, and ACP Chapters to provide recruitment and educational support for the initiative. ACP is well positioned to provide such support, because the College has taken a leadership role in promoting enhanced quality of care for lower cost through its educational resources. TCPI is an opportunity to build on ACP's High Value Care Initiative and its educational offerings, including the interactive online cases on high-value care for practicing clinicians and curricular materials for residents and students. It is also an opportunity to build on ACP's long-standing history of helping physicians practice quality care and helping guide patients through evidence-based clinical recommendations and quality improvement resources. Recently published examples of ACP's clinical guidance cover such topics as appropriate antibiotic use for acute respiratory infections, which ACP developed jointly with the Centers for Disease Control and Prevention; use of generic medications; and acute pulmonary embolism. Other ACP quality improvement resources range from point-of-care tools to a national quality improvement network linked to the federal Physician Quality Reporting System (PQRS). Practice Transformation Networks, peer-based learning networks designed to coach, mentor, and assist clinicians in developing core competencies specific to practice transformation, are a key component of TCPI. ACP is providing its ACP Practice Advisor free to all practices that enroll in Practice Transformation Networks and to practices affiliated with academic medical centers. The ACP Practice Advisor helps practices improve the process and structure of care to make them more patient- and family-centered and successful in preparing for value-based care delivery. Practice transformation is an ongoing process, and it can be challenging, particularly for smaller practices that are not part of large integrated health systems and those that care for rural and underserved patients. The Affordable Care Act has enabled new levels of coordination, continuity, and integration of care while transitioning volume-driven systems to value-based, patient-centered health care services. Practices that commit to changing how they deliver health care will need a lot of education and support. ACP has also committed to helping recruit practices and clinicians into their regional Practice Transformation Networks. As part of a Practice Transformation Network, clinicians will have free access to a multitude of state-of-the-art, high-quality resources and support to help them succeed. Clinicians and practices that become part of a Practice Transformation Network will be well prepared for the value-based payment system that is just around the corner. ACP can help internists navigate this new landscape, whether through use of ACP's resources or through referrals to a Practice Transformation Network offering additional resources. More information is online . ACP leadership looks forward to the work ahead and encourages internists, with the College's help, to transform practice and improve patient care. Editor's Note: The project described was supported by Funding Opportunity Number CMS-1L1-15-002 from the U.S. Department of Health & Human Services (HHS), Centers for Medicare & Medicaid Services. The content provided is solely the responsibility of the author and does not necessarily represent the official views of HHS or any of its agencies.